There's nothing like having the best of both worlds in one restaurant. 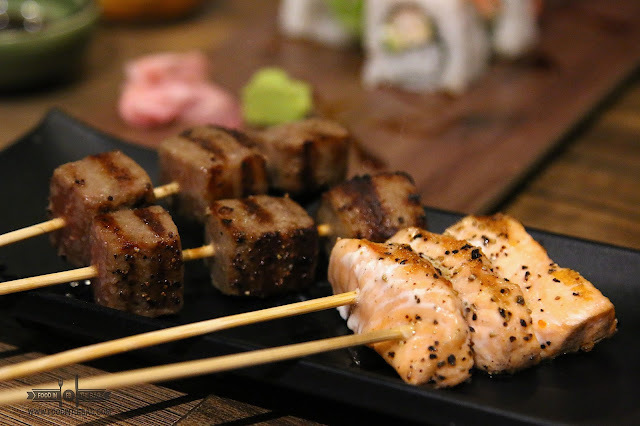 At WATAMI GRILL and SUSHI BAR, they expect you to have one heck of a Japalicious time by getting access to different skewered meats and fresh sushi and sashimi rolls all under one roof. 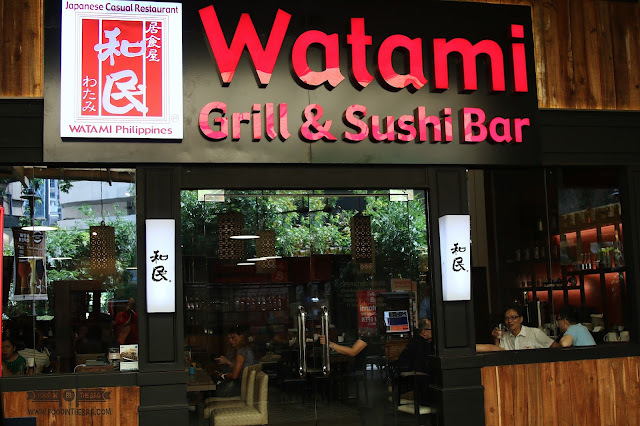 WATAMI GRILL and SUSHI BAR has a number of outlets around the metro. One of their newest branch would be located in Greenbelt 2. Under the helms of the BISTRO GROUP, you get to see their hands on approach when it comes to serving the needs and wants of their guests. New dishes are added ever so often that sometimes, you tend to loose track. One could start out with the ASSORTED SASHIMI SALAD. 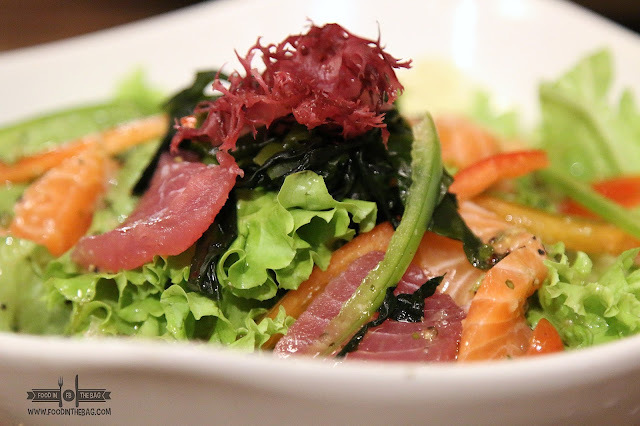 Here, cuts of salmon and tuna are mixed with various greens and vinaigrette to whet the appetite. Another new dish would be the HOMEMADE ROLLED OMELETTE. 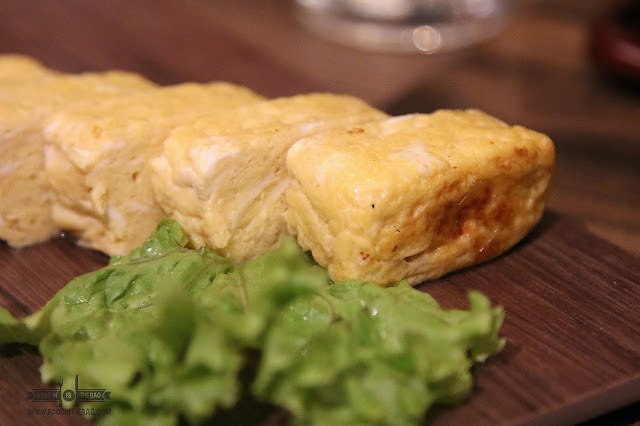 It's quite similar to tamago yet has a distinct difference. This one was quickly cooked in a pan to give it a slight burnt edge. A variant of this has mentai and cheese as fillings. 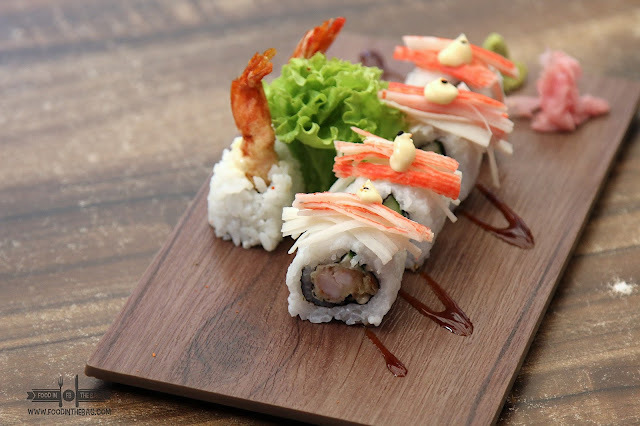 Of course, rolls are a big part of Filipino Dining in Japanese Restaurants. Here, they created the ANGEL ROLL. An ebi tempura is used as the main ingredient while it is then topped with kani and Japanese Mayo. For grilled items, they have a lot to choose from. 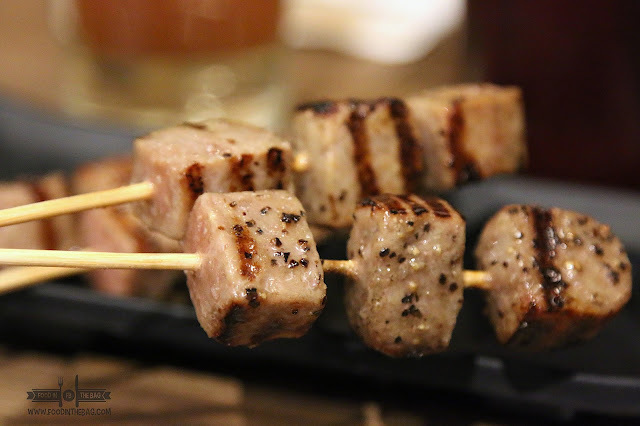 Different skewers are there for you to indulge in. One should definitely get the BEEF WAGYU and the SALMON BELLY. The wagyu is perfectly cooked that it is tremendously tender and juicy. Lightly topped with salt, flavors greet you with each mouthful. Healthy eaters would enjoy the SALMON BELLY. Grilled, the meat is not overly flaky. There's the right amount of seasoning that makes you want to order more rice just to eat with it. RICE BOXES would be perfect for a quick lunch. One could check out the BEEF SUKIYAKI and the SKEWER RICE BOX. 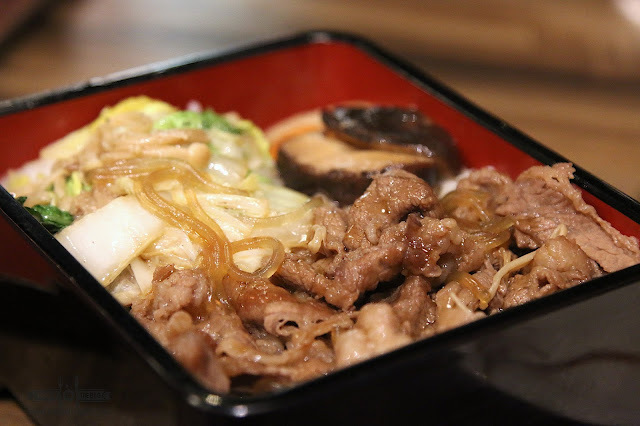 The beef sukiyaki has glazed meat partnered with noodles, mushrooms and some green leafy vegetables. Each bite would give a sweet surprise. 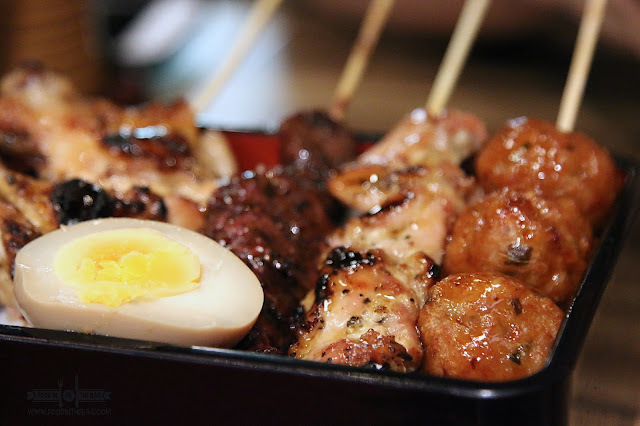 For someone more into bbqs, the SKEWER RICE BOX would be perfect. 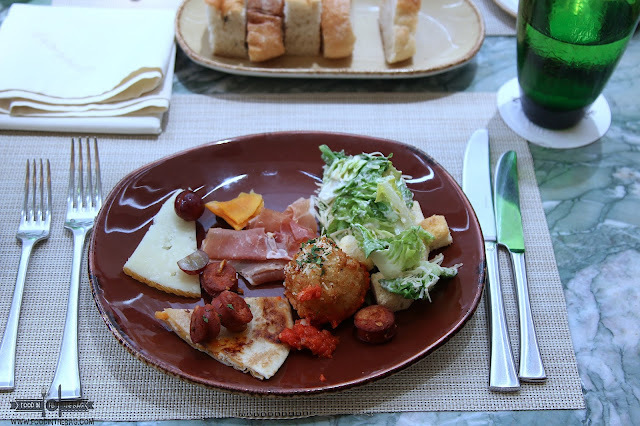 Topped with different chicken parts, meatballs and even a flavored egg, you'll definitely have a great time devouring this meal. 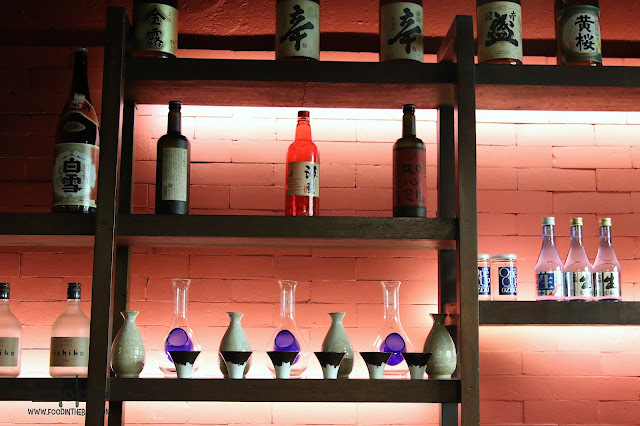 WATAMI GRILL and SUSHI BAR is a welcome addition to the Japanese Dining Scene in the Greenbelt area. Being able to offer tons of variety and choices for its guests, it's no wonder why people keep going back for more. The salad and roll got me! Oh t's in green belt? hope i can take a visit!